I devoted Saturday to testing five sugar cookie and five icing recipes in search of the best decorated sugar cookies. 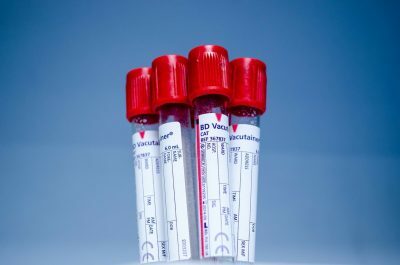 I could claim that I did all of that testing for you so that you don’t have to, and that would be true. But it was also a great self-care day for me. Decorated sugar cookies are a classic Christmas treat, one I rarely take the time to make. It was fun and relaxing to put on some tunes, don an apron (I can’t think of the last time I wore an apron), and mix butter, sugar, flour and eggs. 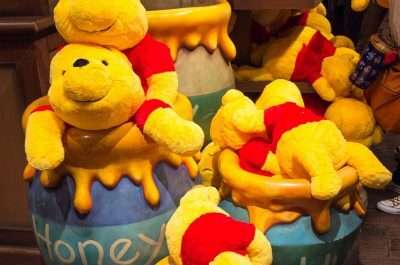 The word ‘soft’ was mentioned. I do know that has a lot to do with how thick you roll them and how long you leave them in the oven. Still, I wanted a guarantee. Different ingredients were used. One recipe used almond extract, another peppermint. One recipe used cake flour in place of all-purpose. Another recipe used icing (powdered) sugar in place of granulated sugar. They were beautifully decorated in the photos that were provided. I might as well confess that, to me, sugar cookies just make a great base for icing. I’m all about the icing. The recipes looked easy. I’m not a professional baker and have no interest in dealing with tricky recipes that require transferring dough in and out of the fridge. With one exception, I made each recipe exactly as instructed – no substitutions and no shortcuts. The exception was the recipe for Whoville Cookies. I was supposed to make red and green swirled sugar cookies rolled in holiday sprinkles but I forgot to buy sprinkles. Besides, I couldn’t be bothered colouring the dough and rolling it out before refrigerating it. So I just made basic sugar cookies from the recipe. The Whoville cookie recipe and the recipe for Perfect Sugar Cookies were similar. The differences were that Perfect sugar cookies used almond and milk, and Whoville cookies required two eggs instead of one. Both were quick to make, required 30 minutes or less in the fridge, and they taste delicious. I have a slight preference for the Perfect Sugar Cookies, but I think that’s because of the vanilla almond flavouring. I also made Super Soft Sugar Cookies. They used two eggs, three teaspoons of vanilla, and 2 1/4 teaspoons of baking powder, but every other ingredient was less than all other recipes – less butter, sugar, and flour. The recipe calls for you to make just flattened balls. I worried that the dough would be too soft to hold a shape, but tried anyway. Small cookie cutters work just fine; large or detailed cookie cutters might be a problem. Finally, I made two recipes for which the decorating was predetermined. Peppermint Sugar Cookies with Cream Cheese Frosting are ridiculously easy to make, festive looking, and delicious. I bought the candy canes pre-crushed since having bits of sharp candy cane flying about as I try to smash them is a long way from relaxing self-care. The other recipe was for Melting Snowman Sugar Cookies. They turned out really cute and they taste quite good if you are an icing fan like I am, but I found the dough really difficult to roll. This was the only recipe that used baking soda instead of baking powder, and icing sugar instead of granulated sugar. Perhaps that explains the crumbling that was happening when I tried to roll the dough? 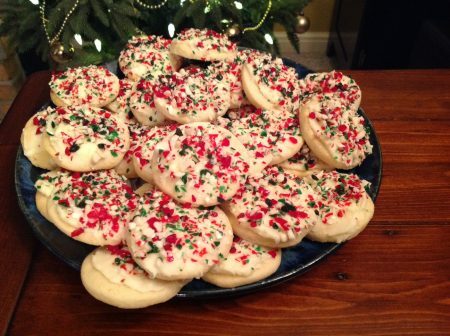 Christmas cookies can’t help but be retro–they are memory first, sugar-flour-egg-redhot-gumdrop-sparkle reality second. I’ve always admired the artistry of a beautifully decorated sugar cookie, cupcake, or cake. In an effort to acquire those skills for myself, I took a four evening Wilton cake decorating course last year. It was a good time–helpful tips and the opportunity to consume vast quantities of icing. While I never did get good at decorating –like anything else, it requires practice–it was a good experience. Use clear extracts – vanilla, almond or butter. Regular vanilla extract discolours icing, a problem if you are using white or pale colours. Wilton sells clear extracts. Meringue powder gives more consistent results than eggs. The widest range of colour choices comes from the little pots of Wilton food colouring. Add colour to the icing by rolling a toothpick in the colour and then rolling it in the icing. This will give you the most control over the depth of colour. Use a new toothpick each time you dip into the pot. You can use a piping bag with metal tips. Tips are available to makes leaves, roses, stars, and just about anything else you can imagine. But if you aren’t doing anything fancy, a squeeze bottle works well. Whether using a piping bag or a squeeze bottle, stop squeezing before you lift away from the icing. Failing to do so is what leaves tails on the icing. Here are the three icings I made for my cookies. They are in order of difficulty. Combine 1 cup of powdered sugar with 4 tsp. milk. 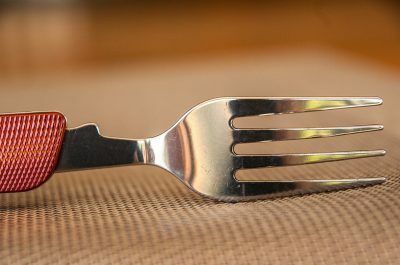 Mix with a fork. Make thicker by adding more sugar. Make it a glaze by adding more milk. In large bowl, beat 1 cup solid vegetable shortening, 1 tsp of extract (vanilla, almond or butter), and 7-8 tsp of milk or water. Add 4 cups of powdered sugar and 1 tbsp of meringue powder. Blend until creamy. This recipe makes 2 1/2 cups of icing which is more than enough for a large cake. I cut it in half for the cookies. Today me will live in the moment, unless it is unpleasant. In which case me will eat a cookie. 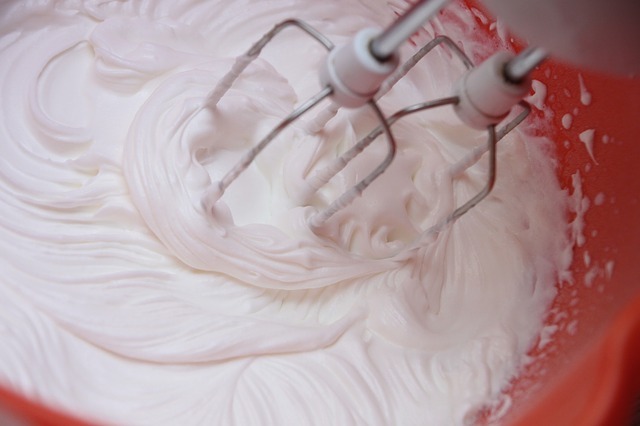 Mix 4 tbsp of meringue powder with 1/2 cup of water. Mix on low with the paddle attachment on your mixer until the mixture turns bubbly. Sift 4 cups of powdered sugar into the bowl. Mix on low until combined. The icing needs to be smooth so it’s critical that you sift the sugar. Add 3/4 tsp of light corn syrup and beat at medium or high speed for a long time. For me, it was high speed for seven minutes. You want the icing to be stiff but still glossy. Use this icing to create borders on your cookies. Let dry for 30 minutes. To flood inside the cookie borders, add water to the icing 1/2 tsp at a time until you have a syrup. Allow the cookies to dry for several hours, ideally overnight. 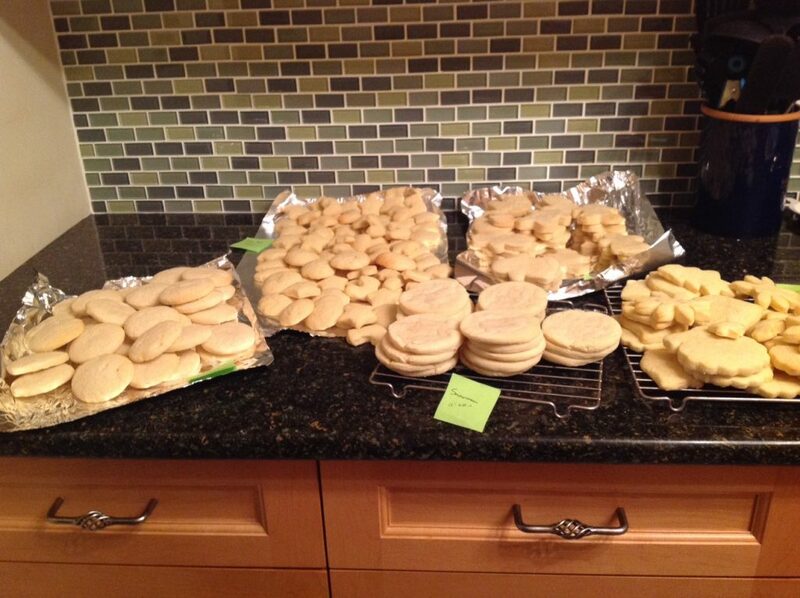 I had no problem baking five different recipes of sugar cookies on Saturday. The cream cheese frosting for the peppermint sugar cookies, the easy icing, and the melted snowman cookies were done Saturday as well. But the buttercream icing took me a couple more hours on Sunday and the royal icing was another two hours on Monday. The royal icing was particularly tricky. I stirred the food colouring in, instead of using a mixer, and ended up with streaks on a few of the cookies. I also should have thickened the brown icing that I used for the eyes and mouth, but by the time I got to that stage I just wanted to finish and go to bed. Someone who has done a lot more sugar cookie decorating than I have would probably be much faster. Peppermint sugar cookies with cream cheese icing for sure. They’re a good cookie for the discerning adults at any party. Perfect sugar cookies, but with easy icing. Buttercream and royal icing are a bit too much work. Melting Snowman sugar cookies. Given the difficulty I had rolling out the dough, I’m surprised they’re on my list. But they look cute and they taste wonderful. Or I would make just the Perfect Sugar Cookie dough and I’d take the time to develop my royal icing artistry. 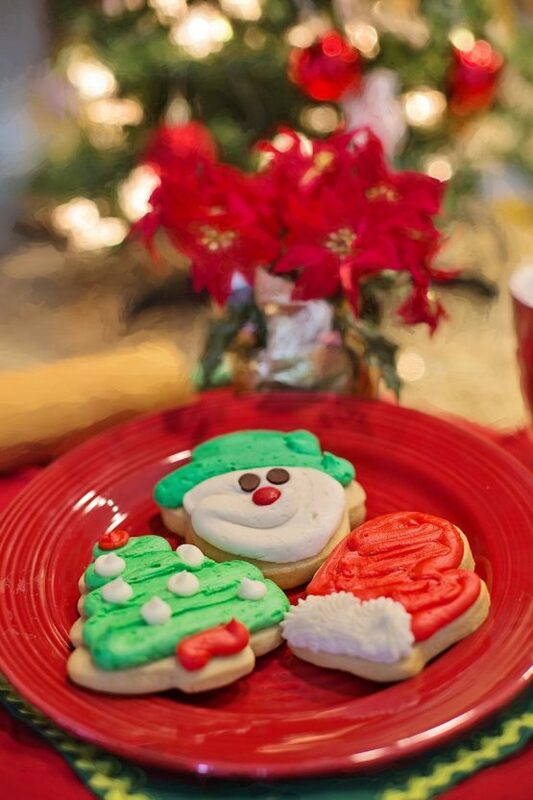 Are decorated sugar cookies one of your holiday traditions? 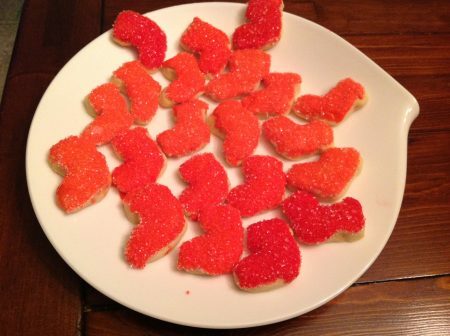 If you have a favourite sugar cookie recipe or icing recipe to share, feel free to send it to me – karen@profoundjourney.com. Include the source if you know it. I’d be happy to include additional recipes in a pdf as an update to this post. Thanks. Mmmmm, Karen, those cookies look delicious! There is still time for me to try some, or all, of these recipes before Christmas so I have bookmarked the links for all five recipes. I need to plan when to bake these, though, in this house doing so too soon results in having to do it again later. You see, there is a Cookie Monster that lives here too but he goes undercover using the name Kevin. LOL 😉 Cookie Monster thinks the melting snowmen ones look the most interesting but let’s face it he will eat anything I put in front of him when it comes to cookies. I loved reading this post because it felt like you and I were sitting down with tea and a plateful of cookies just talking. I really appreciate you admitting things like problems you had with the recipes or being tired and just wanting to go to bed. That helped encourage me to try these myself without feeling like I had to measure up to some professional standard with picture perfect results which is how most cookie recipe articles come across, to me at least. I like the idea of cutting back on the recipes you make next time to the ones you prefer since that will cut back on the time involved as well and you can really feel like you are doing self-care. After all, no one wants to be a slave to the kitchen at such a busy time of year. I knew that five recipes of cookies would be a lot of cookies, but I still underestimated just how many I would end up making. Oh my gosh. I’ve given away trays full of cookies and just wish I could afford the postage to send at least a few to every single member of our Profound Journey tribe. Instead, and alas, I am eating these things to the point of feeling dizzy and foggy from the sugar overdose. Good thinking, Susan, to do your baking closer to Christmas so that you don’t have to do it again! I won’t be making any more this year. My system and my weight can’t take it. But they are so good that I am definitely already planning for next year. I’m thinking right now that I’ll opt for the perfect sugar cookies with royal icing. It would be fun to work at improving my decorating skills and the royal icing, while still delicious, is not as sweet as the buttercream icing or the one on the melting snowman cookies. I appreciate your appreciation of the imperfections of reality. 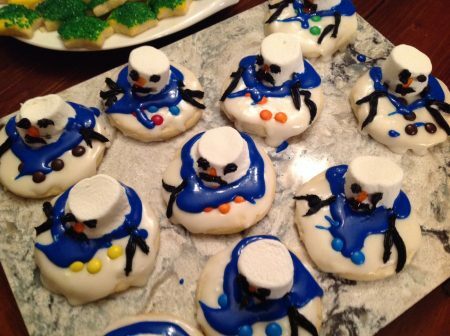 The melting snowman cookies are a great example of this. 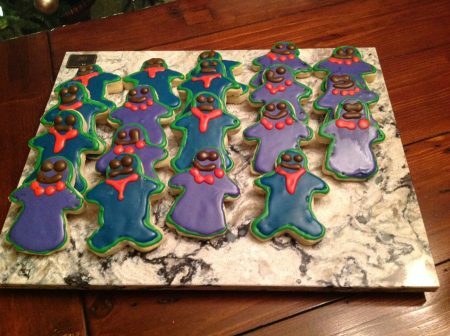 You’ll notice that the blue scarves kind of take over on a few of the cookies. That’s because the scarves were the last thing I did after a full day of baking on Saturday. I could have put the icing in a piping bag and squirted them on oh so carefully, but I was tired so I drizzled the icing on instead by the spoonful. Oh well – they tasted just as good, and they’re still cute. Um, yes, I suppose I could freeze the cookies. But, and I’m being totally honest here, there isn’t even the slightest glimmer of a possibility that I will do that. They are just too good. What a great blog will be adding to my recipe list tried a few of these they were fantastic only one problem do not want to share them . What a lot of work but very interesting. Thanks for writing, Carol. I’m so glad you liked the sugar cookies. When it comes to sugar cookies, I think sharing is highly overrated! 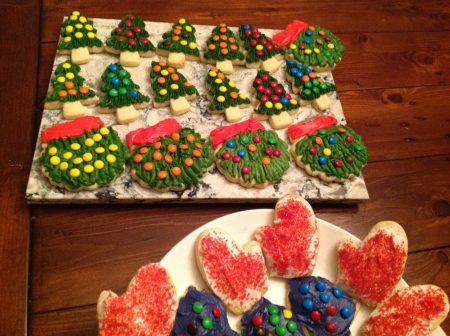 Your cookies look amazing – I’ll try the recipe, but I’m not very innovative when it comes to decorating. It’s all about the icing, Anna. Remember that and you can’t possibly go wrong!